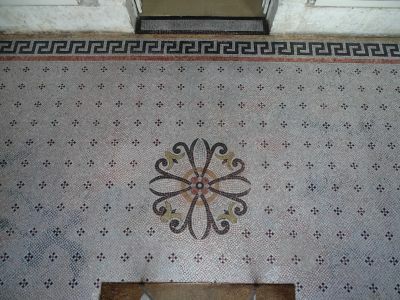 The entrance of the logis de Chantoiseau, built in the XIXth century, is covered by a marble mosaic. 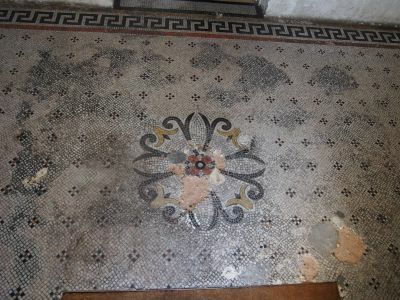 The floor pavement suffered from humidity and from the stone alterations. 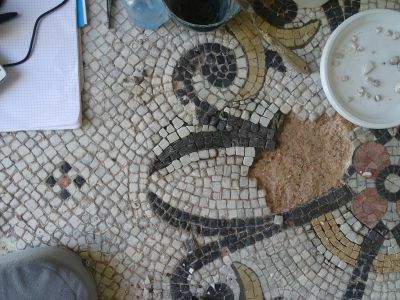 Big area are dark because of dirt and some have lacunae. 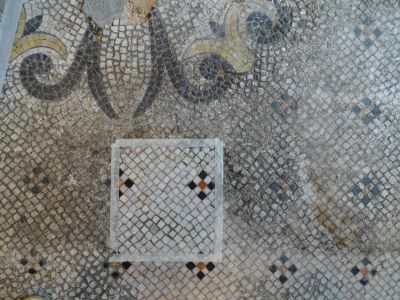 The work lasted 2 weeks, during which the mosaic has been cleaned, consolidated, the old inaesthetic repairs removed and the lacunae treated with new tesserae.